This image of an intensely beautiful and colorful sky is another from an incredible evening earlier this summer. As the day ended – the light, fog, temperature and tide all made it a fascinating and evolving scene. 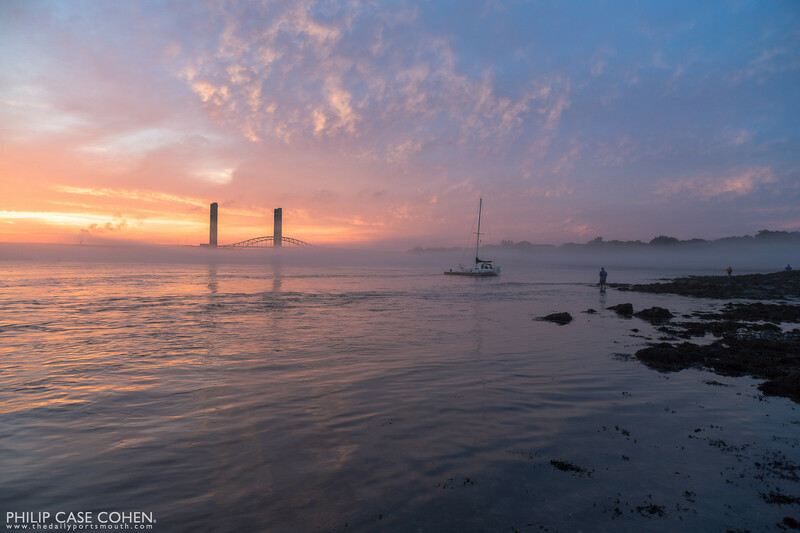 A summer sunset as seen from the banks of Kittery, Maine overlooking the Piscataqua River. This is another of my favorites from one of the most memorable sunsets of the summer. It also happened to be the night of my third anniversary, which was an extra special gift to enjoy to celebrate the occasion! Towers and Sky at Sunset. 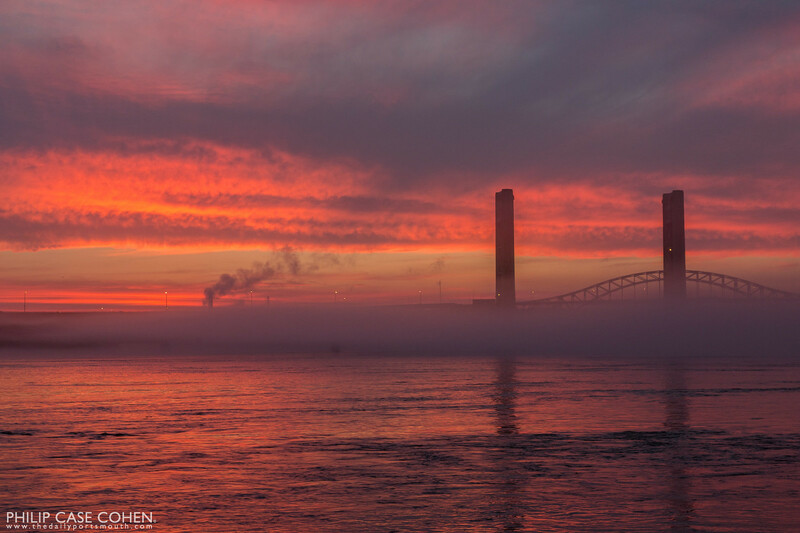 The Middle Bridge tower abutments stand tall above the Piscataqua River during an amazing fog filled evening as the sun retreats behind the horizon. 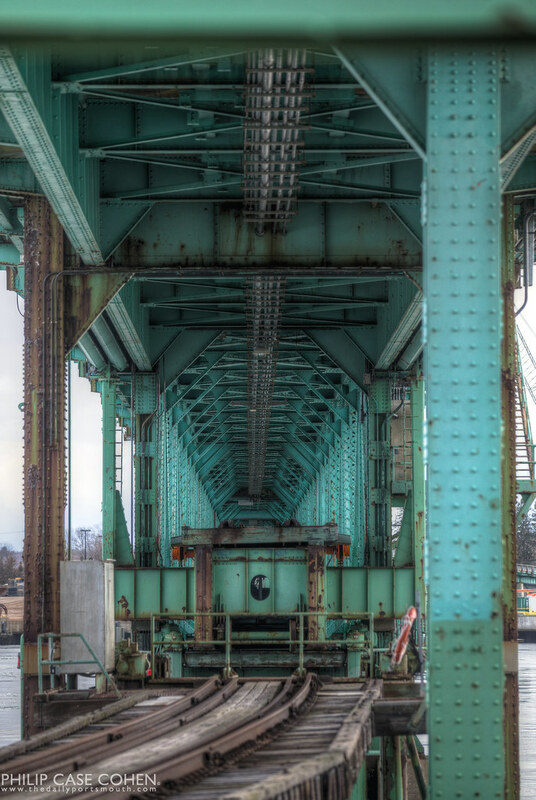 The Sarah Mildred Long Bridge [Middle Bridge] is now slated for replacement in the coming years. 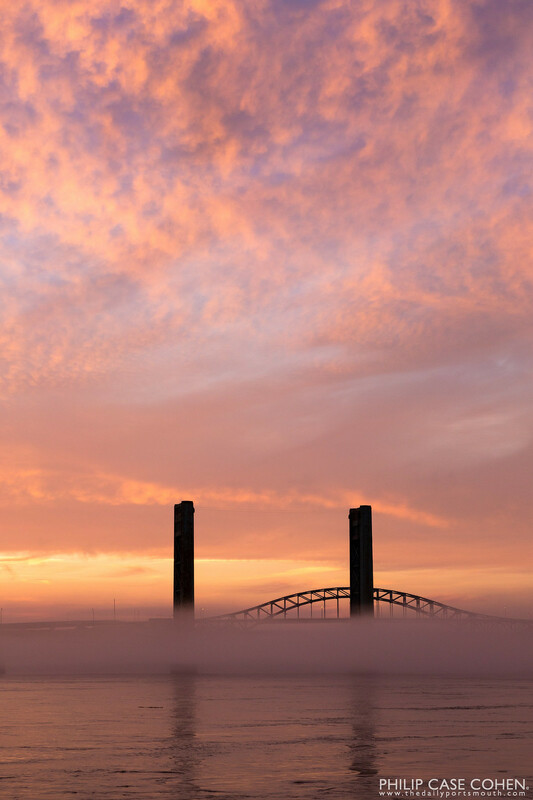 In this image, both the middle and the high level bridge sit beneath a massive cloud filled sky after a storm moved through the area. This is one of my favorite spots to watch the weather due to its elevation and wide open viewing area, which usually leaves a beautiful sky in the wake of the storm. Over the years I’ve enjoyed trying new things with photography, as technology now provides an incredible amount of opportunities to refine the raw product of a photo. Lately I find myself more drawn to the cleaner look and feel of the natural environments in an image, partly due to the colors and tones in the sky at sunset and the appearance of water. 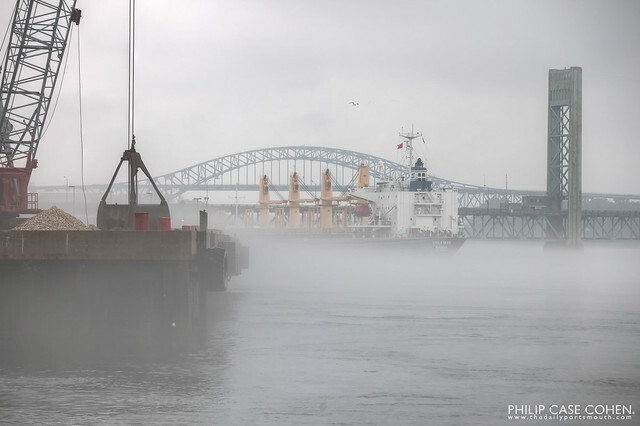 In this particular shot, the Harbour Feature is docked at the State Pier after colliding with the Sarah Long Bridge. In just a few more weeks, the bridge should be operational following millions in repairs. 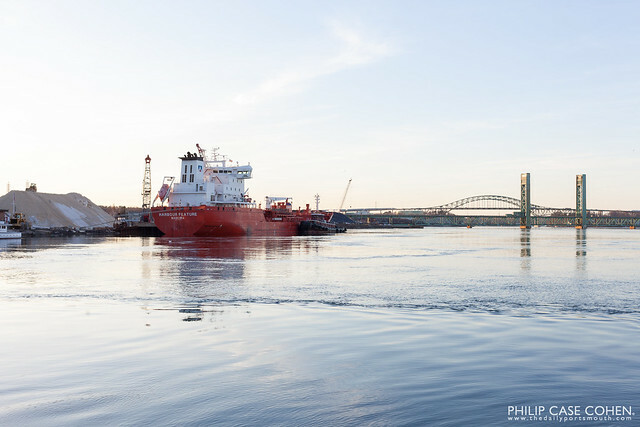 I happened to be in Maine last week, so I decided to stop and check out the view of Portsmouth from a familiar old spot. 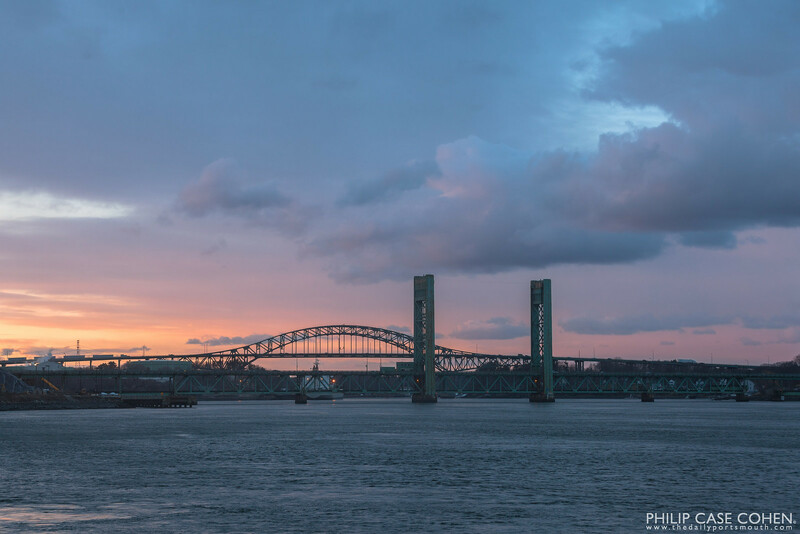 While I always love the view towards Portsmouth’s waterfront and the North Church, I decided to shoot something I hadn’t before – the Middle Bridge itself. 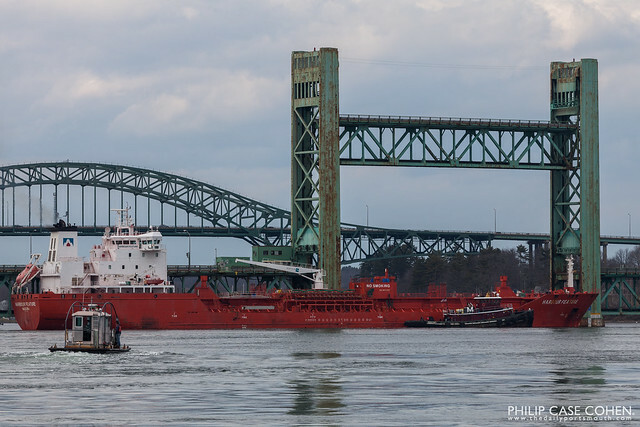 With yesterday’s freighter accident with the Harbour Feature coming loose and striking the bridge (as shown below), I’m not so sure I’ll have the opportunity to get back there for this shot anytime soon. I have a never ending appreciation for engineering and our man made structures, and there’s a simple elegance to the bridge and rail pattern beneath the street decking.